When I was a wee lad back in 1996, I fell in love with a movie. 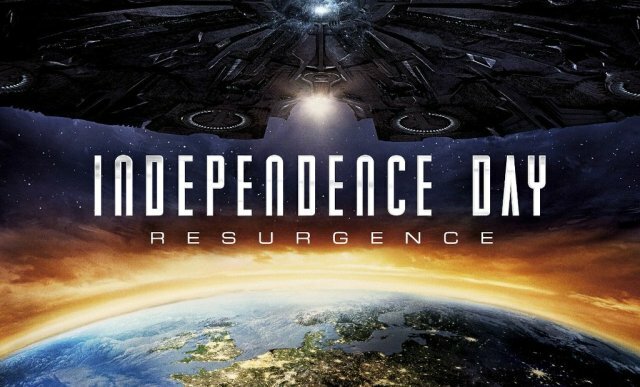 That movie was "Independence Day." I had every toy, I had every video game, I had the movie and I watched it every Saturday morning. I dreamed of a sequel all throughout my formative years, but a sequel never came. I could never get over how a movie that was one of the most popular of its year never got a sequel. But I learned to live with it. Perhaps less was more, most of the time sequels never live up to the first nor or many very good. So I thought it might not be a good idea to revisit this story. What could they do with it? As I got older, I saw lots of new alien invasion movies. I also saw lots of disaster movies. I have seen every version of worldwide destruction you can think of. Destruction onscreen has got better over the years, but its also got bigger over the years too and sometimes it all seems to blur together. 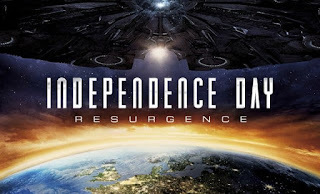 Unexpectedly, we are about to get a sequel to "Independence Day" and after three trailers, I still don't get what to think of it. I feel twenty years is a long time to simply make tread water style sequel. Looking at five minutes of footage, very little of it new footage, it just feels like "Resurgence" will be a bigger version of the first film. Nearly every scene in the trailer calls back to the first film in some way. Why do we need a movie that did exactly what the first film did twenty years ago? I like the idea that we took alien technology and created a better world with it, and I wished the movie would focus on that, I wish they took the sequel in some kind of new and cool direction. I just don't know if treading water twenty years later is that exciting.